According to the National Association of Home Builders, finished basements are some of the most popular renovations projects performed over the last two decades. These projects generally include adding carpeting, redoing the ceiling and walls, and making the space more comfortable for guests and family. And, your average basement remodeling project can see a return on investment of 70%. Home theater installations are common for a finished and remodeled basement. Turning a previously unused space into a family area to watch movies or TV is a good investment, and it also frees up the living room for other uses. However, there are plenty of other uses for a remodeled basement, too. You could use it for a recreation room, a bar room, a workout room, and so much more. 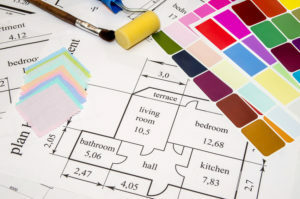 Because of all the options available, you should think carefully about what you want to do before you start home remodeling renovations. It is always a good idea to maximize the space in your basement during a remodel. Adding in shelves and storage areas during the renovation process is a good idea, as you can steal space from unused areas. Keep it simple and inexpensive, but also don’t hesitate to spend a little more to make it attractive. While you want to save as much money as you can on the whole project, and not go too far when it comes to expenses, you should invest in quality carpeting. Especially since a basement is generally cold and can be a little uninviting at times. Installing good quality carpeting can go the extra mile in making it a comforting and welcoming space. Basement remodeling is a great way to add extra value to your home without costly expansions. You can do a number of things with the previously unused space, with your only limitation being your budget. Contact us today to get started on planning your next big home improvement project.